It's an honor to be asked to serve on a non-profit board, especially if you are commited to the cause. Before agreeing, though, you should ask yourself (and the board) some questions. Do you want to be a member of a team that is composed of individual members, each with different but valuable abilities? Why were you recruited as a board member and what particular value you bring to your organization? Have you been an enthusiastic supporter of the organization’s mission over the years? Do you have expertise in a particular area? Do you have proven fundraising abilities, or are you visible within the community? Serving as a board member goes far beyond fulfilling one or two specific functions. It requires you to take a “big-picture” approach to the organization. You need to see the mission in new ways you may not have considered before. You will be called on to think strategically and to make decisions that may affect the organization for years to come. In the process, you’re likely to develop new skills that will make your tenure as a board member even more enjoyable and personally enriching. Board service isn’t just a hobby; it’s a serious commitment of time, thought and contribution. 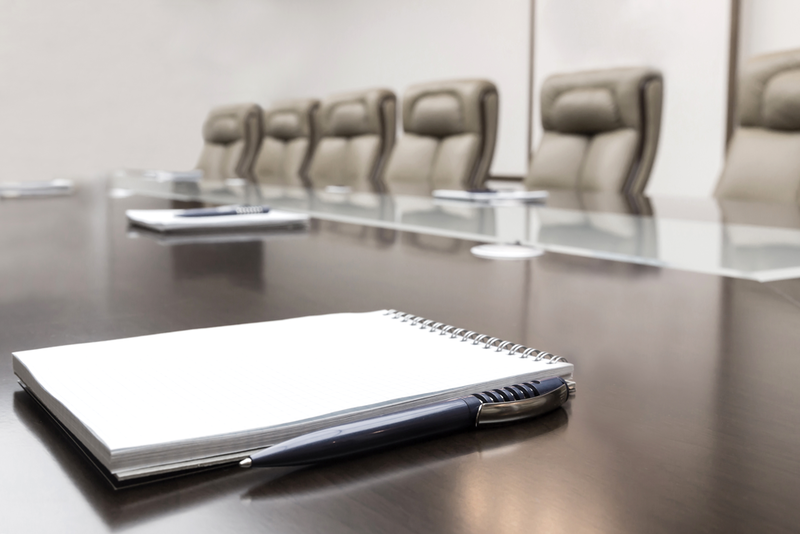 Both for-profit and non-profit organizations need strong board leadership and must adhere to certain legal principles that are outlined in state corporation laws. For-profits answer primarily to their shareholders and focus on generating profits for those people. In contrast, non-profits are accountable to their members, constituents, supporters, donors and the public. Their missions are not to make money but to make a difference in someone’s life or the world. Duty of care - This refers to board members’ responsibility to participate actively in making decisions on behalf of the organization and to exercise their best judgment while doing so. Duty of loyalty - When acting on behalf of the organization in a decision-making capacity, board members must set aside their own personal and professional interests. The organization’s needs come first. Duty of obedience - Board members bear the legal responsibility of ensuring that the organization remains true to its mission and purpose by its compliance with all applicable federal and state laws. Competencies - Do they have these professional skills in the field of your endeavor, financial savvy, proven leadership ability, human relations competence and just plain common sense? Representation - Are they representative of your membership and constituency? Will your members feel they are well represented by them? Performance - Are they willing to pull your weight and attending meetings? Board service should be fun because it can be a deeply satisfying, as you serve with people who, like yourself, are donating their time and treasure on behalf of a worthy cause. Service is a privilege, not a sacrifice. Truly, it is in giving that we receive. Service is payback time for many because our generation has been blessed like few before us. We enjoy service when we do it well because when we can see something accomplished, we see lives changed. 1. How passionate are you about our cause? 2. How much time can you give to us? 3. What motivates you as a volunteer? 4. What expectations do you have from the management of organizations on whose boards you serve? 5. What are your personal dreams or aspirations that could be enhanced by service on our board? 6. What professional or personal constraints on your time or service might you anticipate? 7. Are you willing to make a financial commitment that is a stretch? 8. What importance to you is social interaction with other board members? 9. How do you feel about performance evaluations of individual board members and boards as a group? 10. As you think about the three primary roles – ambassador, advocate, and asker – in which role(s) do you think you will want to be most active? 11. What aspect of our organization interests you the most? 12. What are some of your previous volunteer experiences and leadership roles? 13. Do you have worries about joining the board? 1. Why are you interested in me as a board member? 2. What role do you see me playing on your board? 3. What are your expectations and commitments? 5. What do you feel is unique about your board?